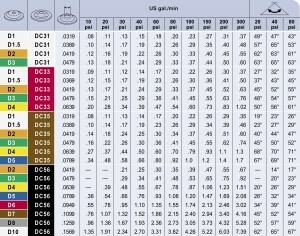 This nozzle Table for TeeJet disc & cores is fairly typical of any manufacturer’s nozzle table. 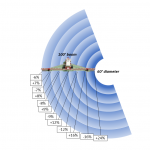 Find the disc & core combination in the two left-hand columns, and follow the row until it intersects your operating pressure to determine the rate in US gallons per minute. Or, if you know your ideal rate already, you can find the best disc & core combination for a given pressure to achieve that rate. 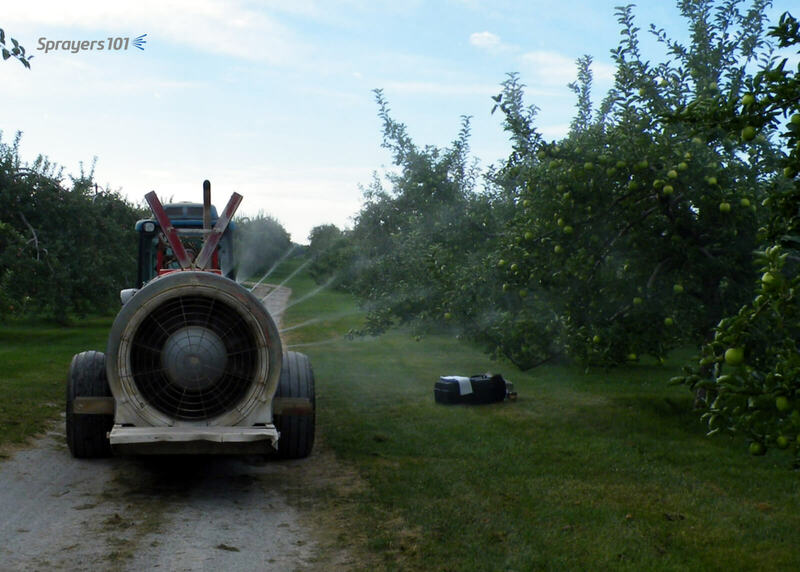 In Ontario, most airblast sprayer operators use disc & core (or disc & whirl) combination nozzles. 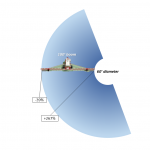 Depending on the manufacturer, the disc plate is defined by it’s diameter in 64th’s of an inch. 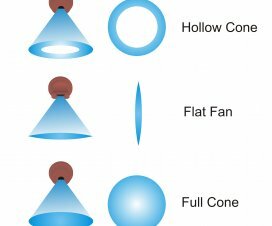 The core or whirl plate might be described by the number of holes (e.g. 2-hole, 3-hole, etc. ), or some other manufacturer-specific nomenclature (e.g. 45’s, 25’s etc.). 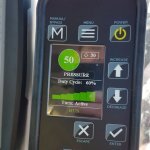 The rates emitted by combinations of disc & core are determined using water sprayed over a range of pressures (read more about selecting nozzles for the sprayer here). Sprayer operators have access to all this information in the form of nozzle tables. 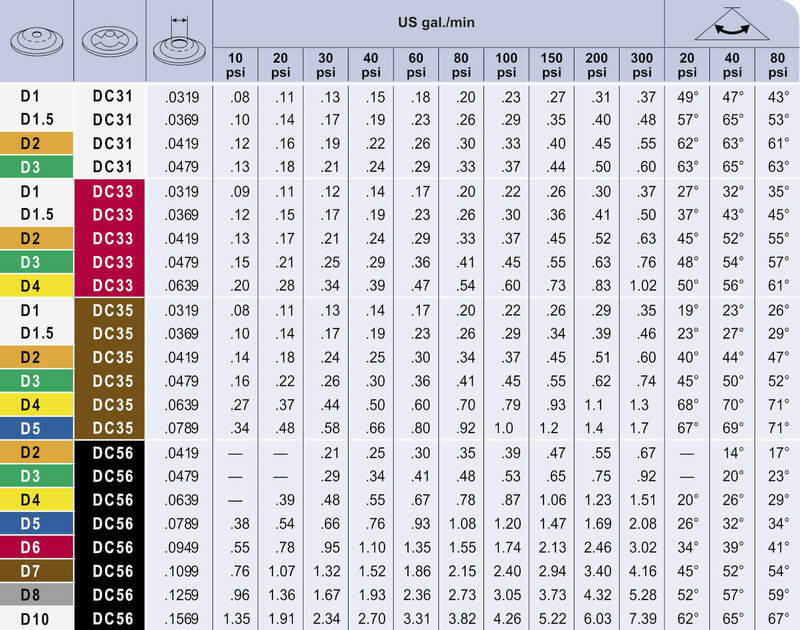 Most nozzle catalogues have tables similar to the example below. If you don’t have a current catalogue (or indeed, any catalogue), ask your sprayer parts supplier for one. They’re free. The higher the pressure (shown along the column headings), the higher the rate emitted by the disc & core combination (shown along the row headings). If you want to know how much your nozzle is emitting at a given pressure, find your nozzle on the left, find your operating pressure along the top, and the rate is where they intersect. Alternately, if you have a rate in mind, and want to know which nozzle is the best choice, find your operating pressure along the top, and look down the column until you find your rate. Then, look left to the nozzle combination. 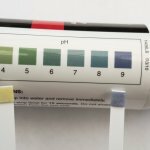 It’s a rare and wonderful thing to find exactly the rate you’re looking for – you may have to make concessions to operating pressure to achieve your desired rate. Alternately, you may have to accept a rate that’s close to what you want, but not exact. 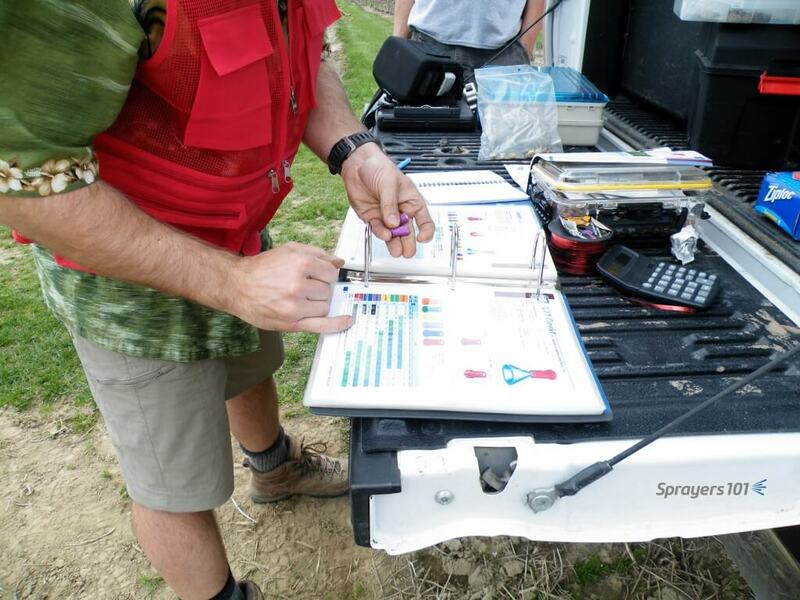 The author looking up nozzle rates during a spring calibration. The operator was running at 190 psi, but the catalogue only listed 180 psi and 200 psi. 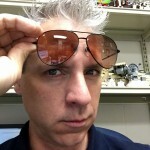 When span is only 20 psi, it’s fairly safe to approximate the output. 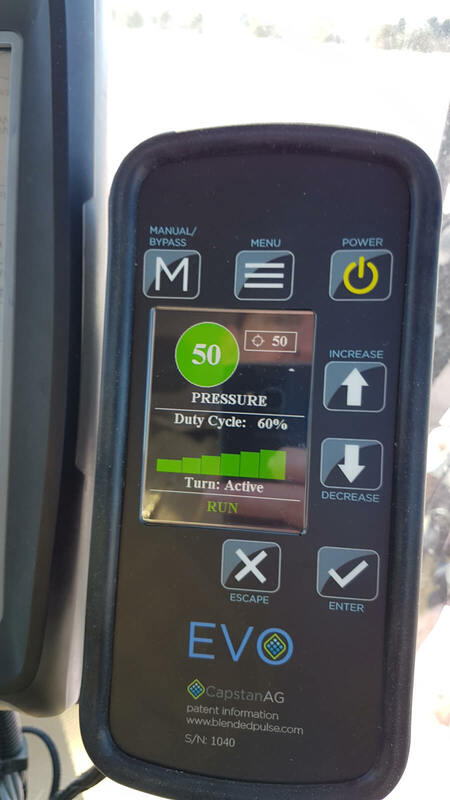 When the table only lists in 50 psi increments, it is more difficult to determine the rate without testing the output. 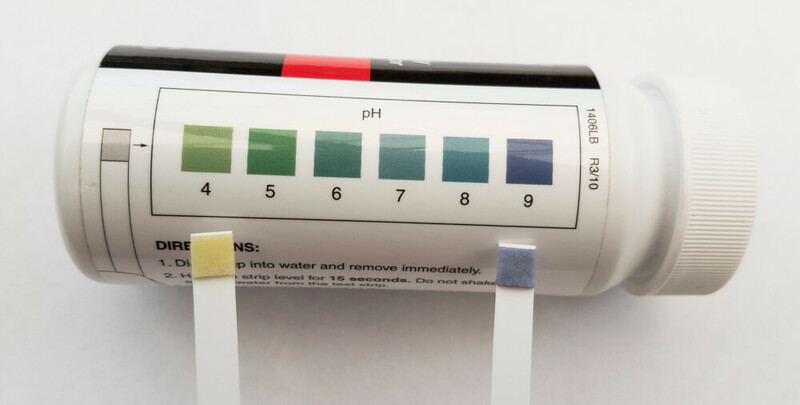 This issue usually occurs at pressures above 200 psi, and that’s very high for most horticultural operations. Consider using a lower operating pressure, if possible. You might notice that different disc & core combinations can create the same rate. The rate may be the same, but the median droplet diameter and the angle of the spray cone are different. Most nozzle tables clearly indicate the different spray angles, as shown in the last three columns in the example table. Shoulder checks may not show you what’s really happening. 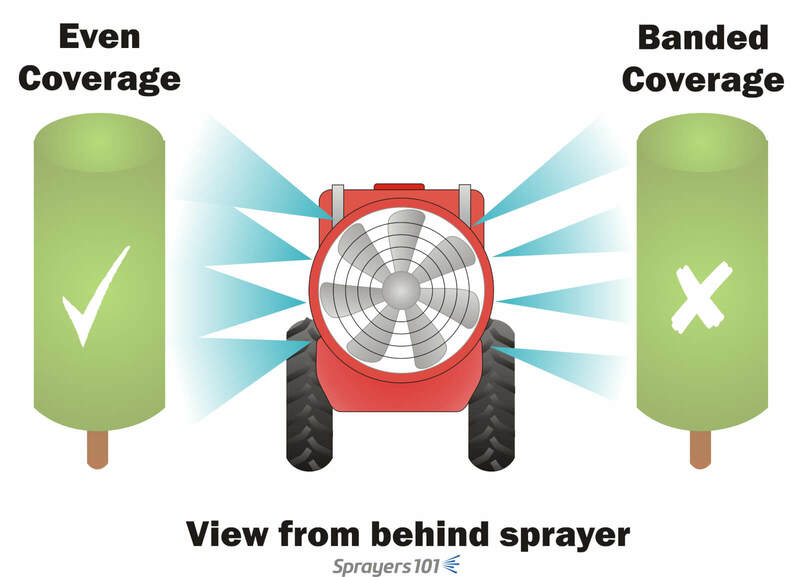 Have someone stand behind the sprayer while spraying clean water to see the nozzle spray overlaps sufficiently to span the entire canopy. 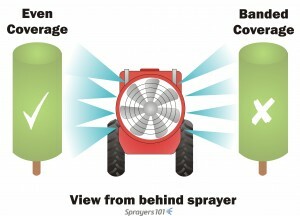 The angle of the spray cone can have a big impact on spray coverage when the target is very close to the sprayer, such as in a vineyard or when spraying canes or berry bushes. 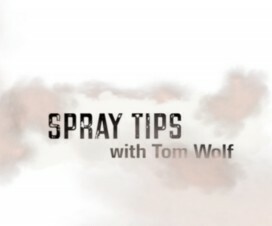 If nozzle angles are too small, the spray may throw farther, but not overlap sufficiently before it reaches the target. To see if this is happening to you, park the clean sprayer in the alley between crops and start spraying water. Have someone stand behind the sprayer and look for gaps in the swath. It might look very different compared to what the operator thinks they are seeing from a shoulder check. 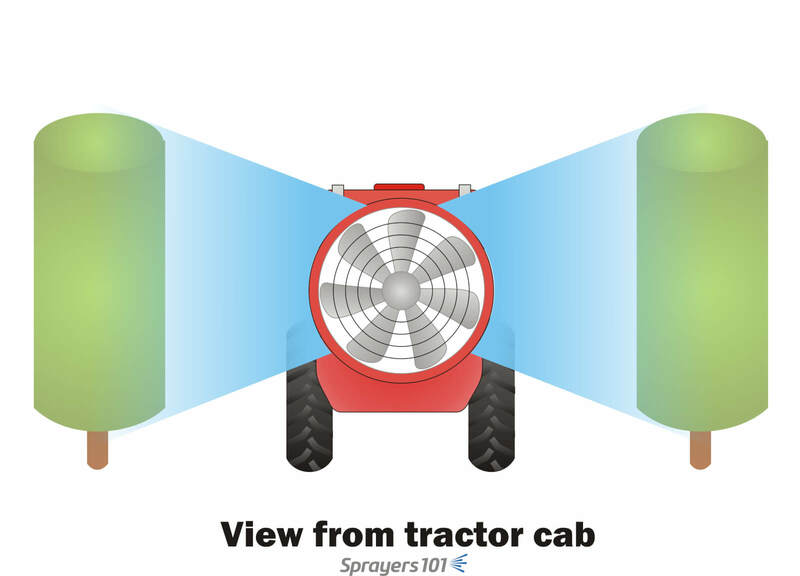 Creating a full, overlapping spray swath that spans the entire canopy is a function of nozzle spacing, distance-to-target, and sprayer air-settings. 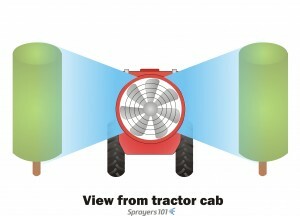 It can be affected by humidity, wind speed and wind direction at the time of spraying. 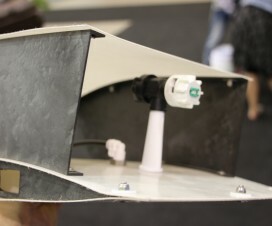 Two hollow cone nozzles on top and five full cone nozzles below. Note the lack of spray overlap with the full cones for the first few meters. 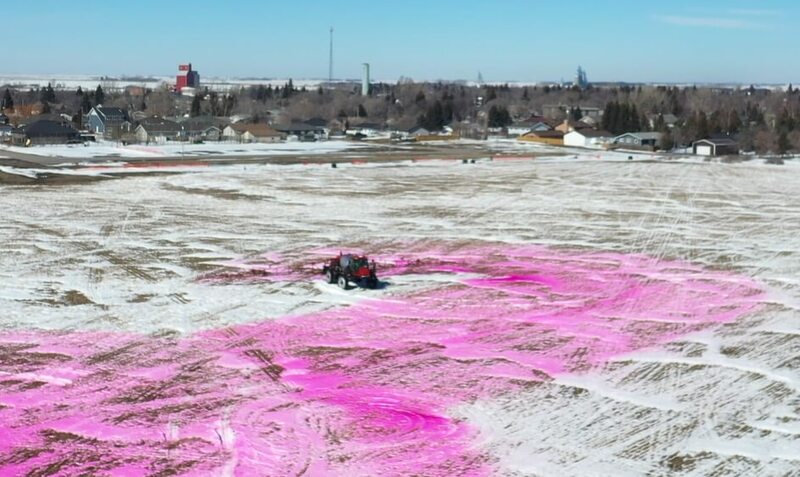 This would be a concern if the target were closer to the sprayer, such as grape or berry. 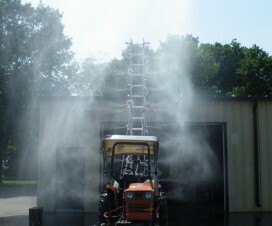 Also note that the top two nozzles should not be on; their spray will likely not reach the intended target.